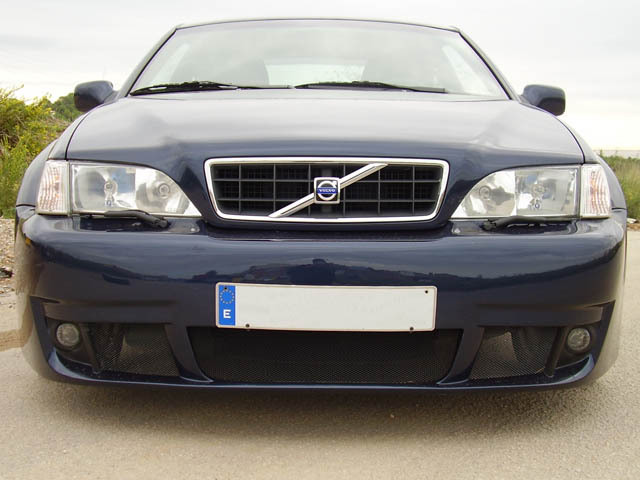 It's not every day you run across a Volvo C70 amongst the plethora of compact European sedans in Barcelona , Spain ; however that's exactly the idea Kian Luque Callaghan and his father Carlos had on their minds. �Something unique�, �not your typical Fast & Furious show car participant� was only the beginning. A completely redesigned exterior from scratch that looks to be best suited blasting past a DTM style Audi on the racetrack, in addition to by far the largest wheels most of the Volvo tuning community has seen on a C70 catches your eye and keeps you starring as drool drips from your chin. 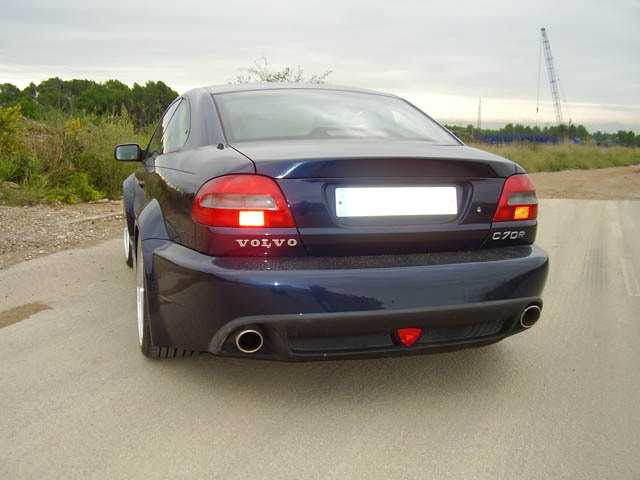 This particular 1998 C70 T5 was picked from the patch with only the notion that Volvos were known for �being extremely safe and durable�. It wasn't until the test drive (and being the first time in a Volvo) that Kian realized not only was the car comfortable and smooth, it happens to be a blast to drive! Being the vehicle Volvo provides to its executives, the car is obviously packed with all the amenities one could want; leather interior, 3 disc CD changer, moonroof, power everything, and even including some that you may not want, like heated seats in a mostly tropical climate. At the time the stock 240hp B5234T pumped out more than adequate power to toss it about the back country roads. After getting acclimated with the seemingly perfect combination of styling and grace, the nit-picking and perfection began. Kian Luque realized the hood just didn't look right, just doesn't feel it's the right shape and size compared to the rest of the car. It could have been the fact the C70 is longer than anything he was used to, but one thing was for sure� it needed a �subtle change, nothing too obvious�. 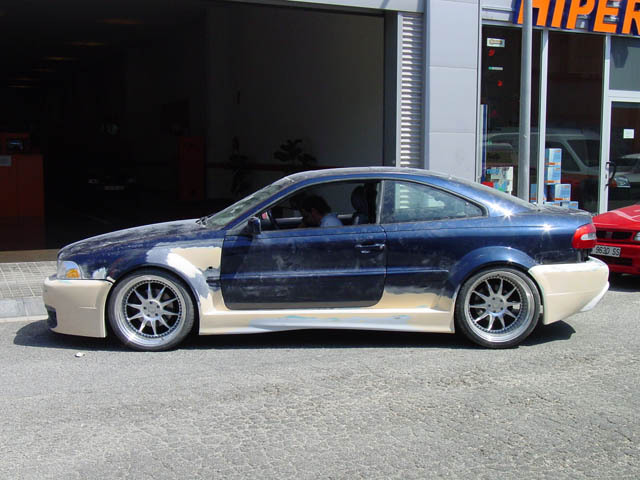 After many months of searching the internet for a body kit supplier that met his needs, Callaghan decided he would have better luck designing it himself and have it built to specification. The car was stripped down and prepped to forgo the concept Kian had worked in his head. Adding approximately 4.5� to each fender's wheel well is a project in itself, but forming a complete aero body kit that flows flawlessly with the lines of the car gives it that exotic supercar look is astounding. The task of creating this piece of art was handled by Manauto in Castellar del Valles. 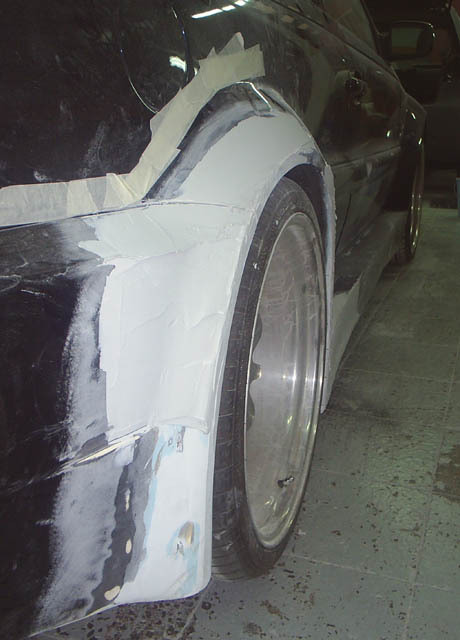 Sculpting the fenders, the running boards, and morphing the Mazda RX8 diffuser into the cars rear bumper in addition to creating a unique front air dam all from fiberglass took them about 6 weeks to complete. The color of choice was the original Nautical Blue color code from the factory. 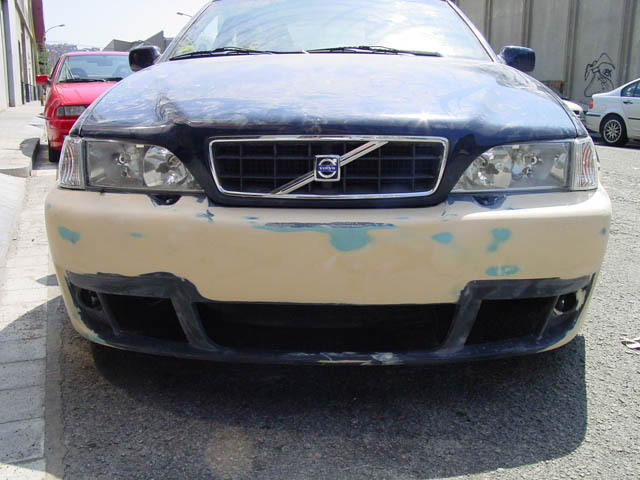 The headlights were swapped out for late model 2004 C70 lamps, and the chrome luxury grille was tossed and swapped for the more sporty looking XC70 style. Once the body was complete and repainted, it had an obvious need for a more aggressive stance. In a quest to find wheels to match a 5x108 bolt pattern, Kian originally mounted a set of 19� Tecnomagnesio alloy wheels only to find that they just didn't fill the new humongous fenders quite well enough. After heading back to the drawing board he had a custom set of 3 piece 20� wheels fitted from Braid, a local company in Spain . 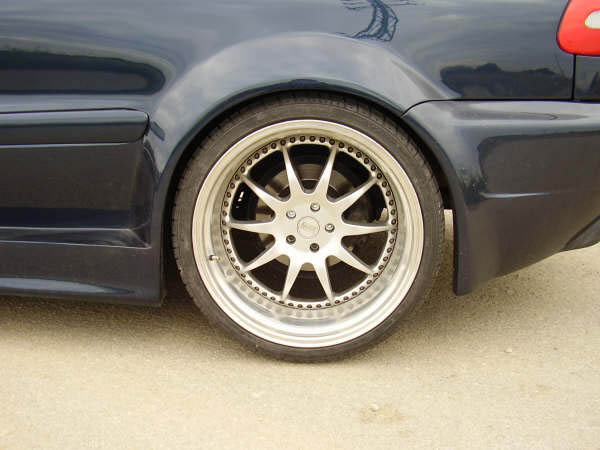 20x8.5� with 255/30 series tires mounted up front and massive 305/25 series tires on 20x11� rims for the rear. The springs were swapped out for Eibach coils dropping the car 2cm all around and shocks and struts from Bilstein were installed. From car shows to internet photo galleries, the response to this radical and very unique C70 has been plentiful to say the least. Although Kian is just beginning the process of upgrading the rest of the car with Lamborghini style doors, reupholstering the interior paneling in leather to match the seats, and a Rica chipped ECU, the requests for where one might find his body kit have enticed such Volvo aftermarket companies as EuroSport Tuning (www.eurosporttuning.ca) in Canada to consider supplying this kit. 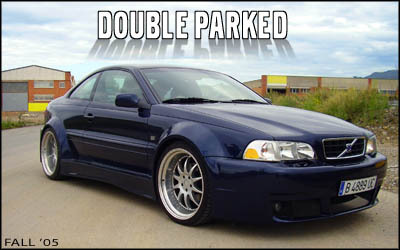 Nothing has been confirmed yet, but if anyone in North America has been known for building radical body kits for Volvos it's the Derks. Hopefully we should be seeing something like this on the market shortly. With only a personal goal to create �an innovative and radical way of life at a new level� its apparent that Kian and Carlos have managed to raise the bar by a few notches in regards to Volvo styling. A one of a kind classy but aggressive looking C70 that still pumps out enough power to embarrass the local ricers, what more could you want? 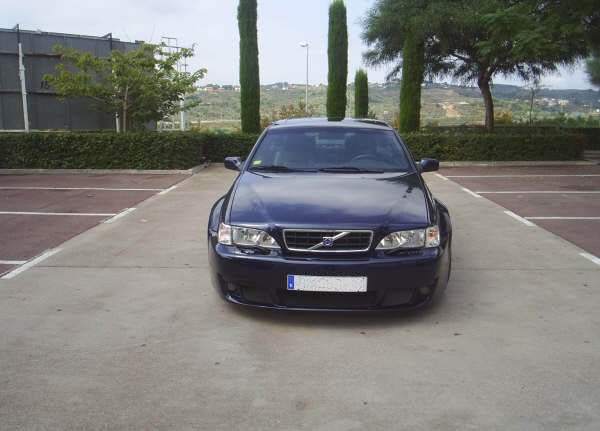 Motor: Volvo original 240hp B5234T 5cyl white block mounted with a 16T Mitsubishi turbo pumping exhaust through a dual exit exhaust still provides the horses to push past most cars on the streets of Barcelona. Transmission: Stock automatic AW50-42 transmission keeps things smooth. 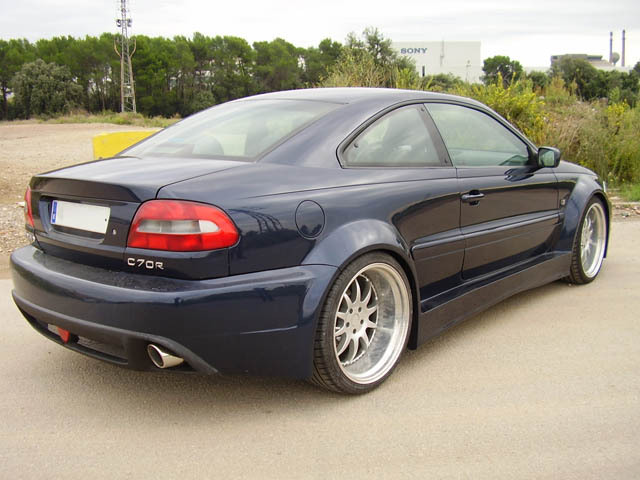 Suspension: Eibach lowering springs packed with Bilstein shocks and struts give the car the extra stability it needs. Wheels & Brakes: Custom 20" wheels manufactured by Braid in Spain, fronts measuring 20x8.5" followed by the enormous 20x11" rear wheels. Tires from Continental Sport rolling in at 255/30-20 in the front and 305/25-20 for the rear allow for little deviation from a perfectly flat road but provide more grip than one could need on the asphalt. 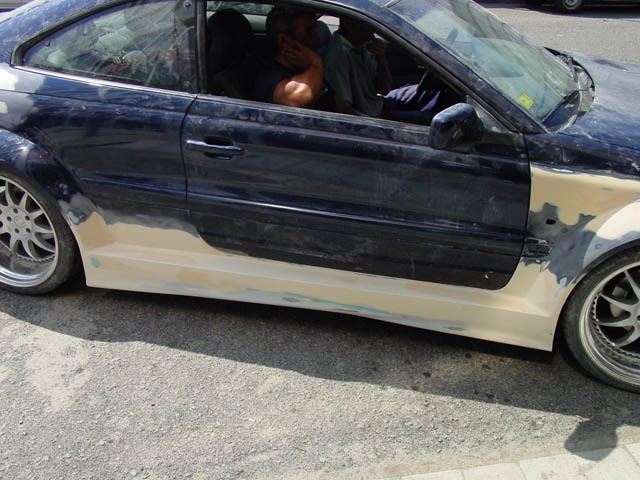 Cosmetic: Completely custom body kit created by Mr. Callaghan himself and constructed by Manauto in Castellar del Valles. 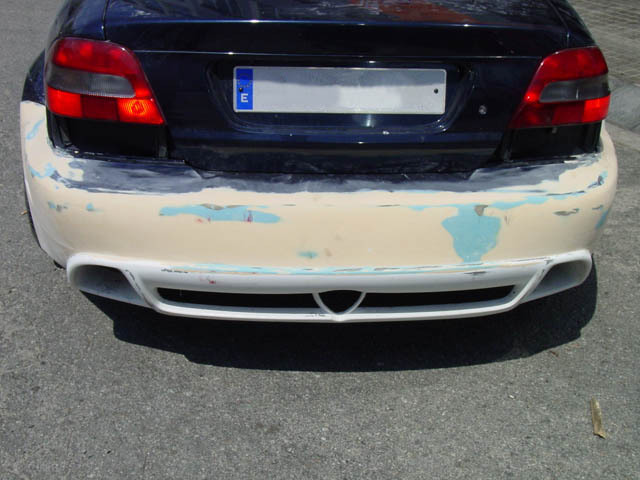 The design incorporates 4.5" flared fender lips, an RX8 bumper, and enough fiberglass to build a boat. Headlights are from a 2004 C70, the "large mouth" grille from an XC70 Cross country both giving it some unique flavor.